Two years ago, one of Italy’s most powerful crime groups, the ‘Ndrangheta, found some 40 of its associates put behind bars in the capital of the southern province Reggio Calabria. Most of them were businessmen, one of them a lawyer. But where the big gangs before had regularly tried to kill each other, now they were working with each other. Anti-mafia prosecutor Piero Grasso described this as an evolution of the many-headed organised crime enemy, which seems constantly to reinvent itself in Italy. Their illegal activities are estimated to generate a turnover equivalent to 1.7 per cent of Italy’s total combined national income. A report using Interior Ministry and transnational crime research data also says the Camorra’s revenues are 3.75 billion, ‘Ndrangheta’s around 3.5 billion and Cosa Nostra’s nearly 1.9 billion euros. Transcrime Findings also cites the Camorra and ‘Ndrangheta together account for 70 per cent of all Italy’s criminal organisations, with Cosa Nostra accounting for 18%. The mafia also continues to try to infiltrate legal economic activity, such as fruit and vegetable distribution in 2010. The big three groups attempted to monopolise production in the south of Italy. The big three are also increasingly going global, not only in Europe but Canada, Australia, Colombia and Venezuela. And the “mafia business” portfolio is expanding in bricks and mortar. Property investment is a way to launder money, although the state has begun to step up confiscations. 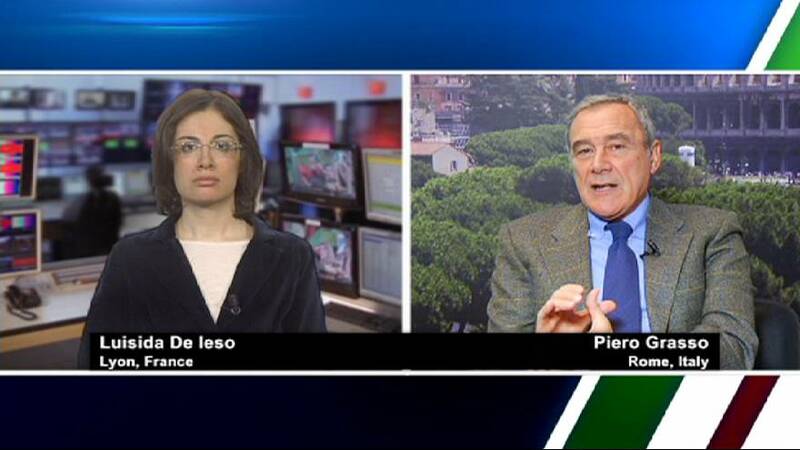 Luisida De Ieso, euronews: “Joining us now is the outgoing national anti-mafia prosecutor Piero Grasso who has taken a sabbatical to run as a Democrat Party candidate for the Senate for the Lazio region.